Publishers Gaijin Entertainment and developers StarGem today announced an exciting new update that will be invading the skies above Star Conflict as January 14th will see the introduction of a brand new class of ships, the Destroyer. 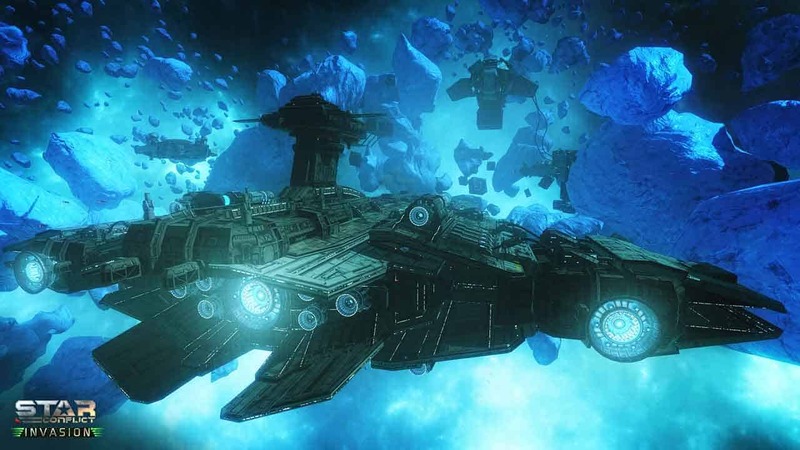 Joining the already established class of vessels such as Fighters, Frigates and Interceptors, the new Destroyers will be among the slowest ships in the game but will pack a punch of behemoth proportions with guns scattered across both sides of the ship and a special module that is able to create black holes to allow pilots for quicker travel on the battlefield. Accompanying The Age of the Destroyer update will be brand new types of maps. The Leviathan is a giant area of space with a huge space station that will challenge players to fight deep inside narrow halls and passages while the Nordstar Crash map is the remains of an asteroid that will put a pilots ability to navigate treacherous surroundings like no other map in the game. For more information on the coming update check out the brand new Star Conflict video below.